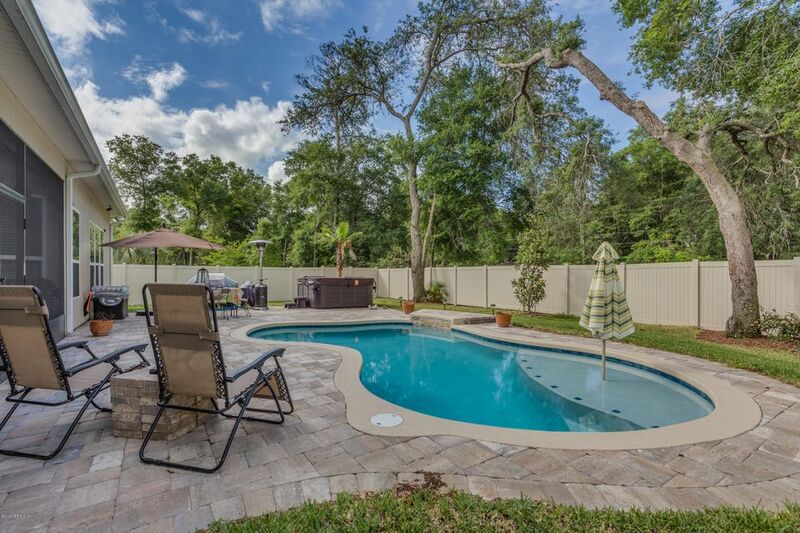 St Augustine Pool home in cute neighborhood with spacious lots. 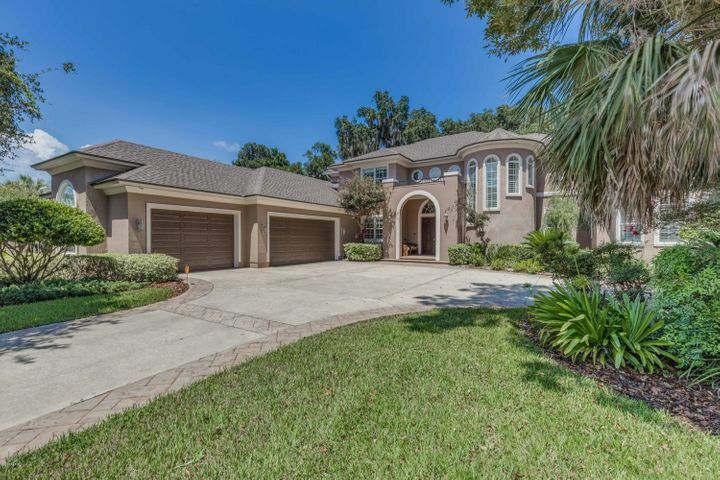 This home has tons of light and features you&apos;ll want to experience in person. Walk though the front door with the open formal dining room to your left and french door enclosed office to your right. Keep walking into the formal living room with views of pool and patio. Master bedroom is large and goes into master bathroom with walk in shower and separate garden tub. Double vanities and full counter length mirror. You will love the HUGE master closet with a wall separating sides. secondary bedroom on opposite side of home. Upgraded kitchen with granite, stainless steel appliances including double oven. Pendant lights add a little flavor. Surround sound in the family room. and finally walk outside to your pavered screen patio and in ground pool. Big enough for relaxation and play. Still room in the back yard that is fully fenced. Flexible closing dates could be available. *$5,000 toward buyers closing costs! 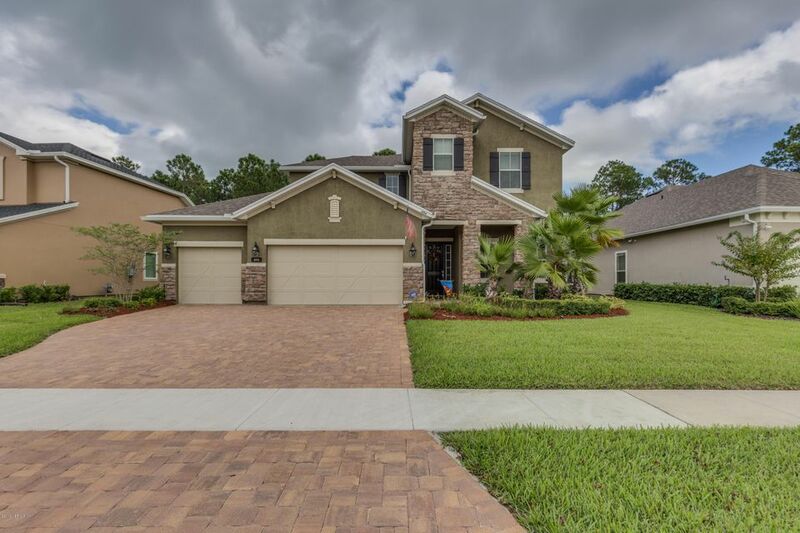 This Upgraded Lennar home in Willowcove will WOW You! The Tropical Landscape and Grande Entrance are Only the Beginning. Gourmet Kitchen Features Stainless Steel appliances, Gas Stove, Huge Walk-In Pantry, Double Ovens, and Tons of Space for Gadgets. Roomy Breakfast Nook and Bar. Separate Dining Room. Comfy Screened Lanai is the Perfect Place to Relax and Boasts Travertine Tile and a Custom Wood Wall that&apos;s Pre Wired for TV. Step Outside to the Paver Patio which is Plumbed for an Outdoor Kitchen. Upstairs Loft. Ginormous 2nd Floor Master w/Two Walk-In Closets and Spacious Bath. Conveniently Located to Golf Course and Splash Park. Other Upgrades include Paver Drive, Pre Wired Security System, Hydroquad Water System. Want to live close to this breathtaking view? Build your dream home in this huge 6.49-acre property of cleared land with majestic mature oak trees. This vacant land is sub-dividable, providing countless usage opportunities for its new owner. Take a walk on the extended dock out to your disc and boathouse and enjoy the beautiful sunset. Click here to explore this vast lot!